Here is expert advice on how many and what kinds of carbs you should be eating each day. Most Americans eat between 250 and 300 grams of carbohydrates a day, the equivalent of 1,000 to 1,200 calories. The Institute of Medicine, which sets dietary nutrient requirements, recommends 130 grams a day. Some, such as Dr. Frank Hu, professor of nutrition and epidemiology at the Harvard School of Public Health, say achieving that would be a big step in the right direction, but other low-carb advocates believe the number is too inflexible. If you’re lean and active, you can tolerate a higher carb intake than if you’re fat and sedentary, says Dr. Walter Willett, chairman of the department of nutrition at the Harvard School of Public Health. But genetic predisposition, he adds, will also play a role. 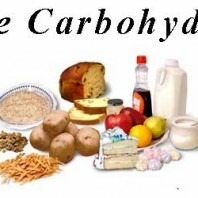 Food scientists divide carbohydrates into two categories: good and bad. A good carb is one that doesn’t raise your blood sugar quickly. (Some people call these complex carbs.) Examples are whole grains, brown rice and legumes. Bad, or simple, carbs trigger a fast rise in blood sugar. Some examples are white bread, refined pasta, processed cereals, cookies, candy and sugary sodas. When evaluating carbs, look at both the fiber content — it should be high — and glycemic index, which should be low, says Dr. Walter Willett of the Harvard School of Public Health. One rule to use when buying bread (the words “whole grain” on a package can often mislead) is the 6 to 1 rule, he says: Look for a ratio of 6 grams of carbs to 1 gram of fiber to determine whether the product is truly whole grain. An example: If the bread has 24 grams of carbs per serving and 4 grams of fiber, the ratio is 6 to 1 — that’s good. If it has 44 grams of carbs and 2 grams of fiber, it’s 22 to 1 — not so good. The glycemic index ranks food on a scale of 1 to 100 based on a measure of how fast blood sugar rises after a food is consumed. Foods with a glycemic index below 55 are considered low glycemic. As a general rule, the more processed a food, the higher the glycemic levels and the lower the fiber levels. In addition, when flour gets refined, many minerals and vitamins get lost or depleted along with the fiber. Sugary sodas, sweet beverages and fruit juice: 10% of total calories. Healthful sources, including nonstarchy vegetables, whole grains and legumes: 5% to 10%. Counting carbs is easier than counting calories, if you know where to look. Start by being aware of what foods are naturally high in carbs. Those include anything with flour and sugar, starchy vegetables (corn, peas and potatoes), rice, pasta, cereals and sweets. You can find carb counters online and tables in low-carb diet books. On packaged foods, look at labels. Then you’ll want to calculate “net carbs,” the number that counts. First find the total grams of carbohydrates per serving, then subtract grams of fiber and sugar alcohols. For example, if one serving of canned beans has 18 grams of carbohydrates and 6 grams of fiber, net carbs equal 12 grams. Why do this? Fiber is a nondigestible carbohydrate, so it’s not absorbed by the body. Sugar alcohols, found in certain foods labeled “sugar-free” — including gum, candies, cookies and some sodas — are lower in calories, absorbed only slowly and don’t affect blood sugar levels much. Many well-known diets, including the Zone diet and the South Beach diet, focus on cutting and counting carbs to varying degrees. The most famous is the Atkins diet, which starts with an induction phase, a very-low-carb diet of fewer than 20 grams daily, and ramps up the carb allotment later in the diet. Other low-carb diets are less strict. The Zone diet, also known as the 40-30-30 diet, is a calorically restricted diet that recommends that 40% of calories come from carbs, 30% from protein and 30% from healthful fats (ones from plants and fish). The South Beach diet more closely resembles the Atkins regimen but does not restrict carbohydrates as much in the early phase. Substitute sugar-free beverages for sugary soft drinks, sports drinks and juice. Look for low-carb and sugar-free products in stores. Low-carb tortillas, bread, pasta and ice cream are in many grocery stores. Instead of a starchy vegetable, such as potatoes, corn or rice, serve two green vegetables and a nonstarchy soup or salad. Skip the bread basket at restaurants. Have olives or cheese on high-fiber wafers as an appetizer. Boost your intake of most green vegetables, nuts and berries. At lunch, order an entree salad instead of a sandwich. Ask for your burger bunless, served on top of extra lettuce and tomato, with cheese. Order your burrito naked and your tostada without the tortilla but with guacamole. Add portions of fish, poultry, cheese, meat and eggs to your diet: These are virtually carb-free. Add peanut butter (the kind without added sugar), which is relatively low in carbs. Get a low-carb cookbook or search for low-carb recipes online. and use their trackers to count anything you want. Its free.